CostaMediterranea entered service in June 2003. Costa Mediterranea carries a total of 2,680 passengers (2,114 passengers, based on double occupancy) in a total of 1,057 staterooms. The crew capacity is 902 in 509 crew staterooms. 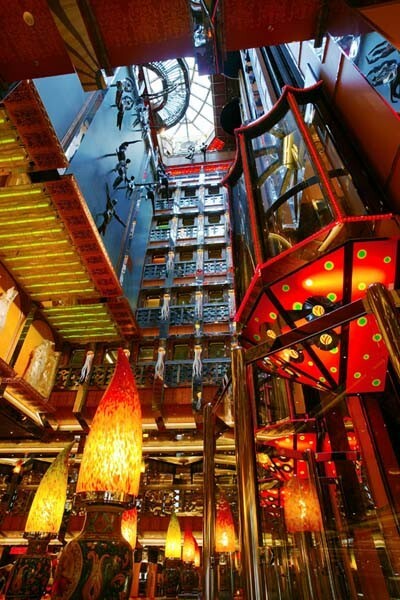 Costa Mediterranea's interior was designed by Carnival architect Joe Farcus, who was apparently inspired by a combination of 17th and 18th century Italian palaces and 21st century Las Vegas. In addition to numerous restaurants and lounges, and bars, a large theater, a ten deck high atrium, shopping, gym and solarium areas, there is a wedding chapel, large facilities for children and youngsters, and a conference center. 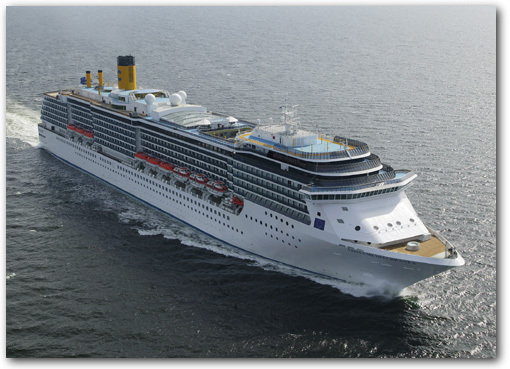 In all, Costa Mediterranea features twelve passenger decks plus four decks below for machinery and crew spaces. The Atrium - Marchera d'Argento Hall - stretches over ten decks. The main lounge Teatro Osiris, which is three decks high, seats 1,170 guests. A new design feature for this series of ships is the location of the show lounge/night club, here the Salone Giardino Isolabella, underneath the main lounge. The main restaurant, Ristorante Degli Argentieri, is two decks high and seats altogether some 1,300 guests. In order to achieve this, the galley was positioned below the restaurant using escalators for service. The Club Medusa is a supper club located at the top of the ten-deck-high atrium and housed under a glass dome. The Perla del Lago and Posillipo Pizzeria behind the main pool area are casual Lido-areas with a variety of special dining areas for breakfast, lunch and dinner buffets. There is the two-level health and fitness center, the Ischia Spa, four swimming pools, one featuring a retractable dome, five whirlpools, a large casino and more than ten themed bars, lounges and public areas for activities and entertainment. In addition there is a shopping area, a wedding chapel, large facilities for children and youngsters. There is also a library, a conference center and a cascading water slide. Staterooms, rang in size between 15 to 18 sq.m up to 36 sq.m Penthouses.